Michael Betzold is a former Detroit Free Press reporter and the author of Queen of Diamonds, a definitive history of Tiger Stadium. 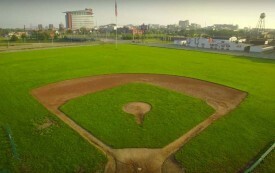 The historic nine-acre field was ignored by the city and lovingly restored by fans. So why are there plans to cover it with artificial turf?